Some people are wealthy thanks to their inheritance or a stroke of luck on a winning lottery ticket. But the rest? They’re doing little things every day that you may not be doing, even if you think you’re doing everything right. Sometimes, the things that are making the rich richer may seem like they’ve got nothing to do with money (what does going to the gym have to do with your bank account?). The good news is that we’ve narrowed down their little tricks and secrets so you can take their habits straight to the bank. 1. THEY HAVE MULTIPLE JOBS. Nearly all of the self-made millionaires in Corley’s study began their careers working for someone else, and on the side, they had a second business doing something they liked doing. But most didn’t stop at two sources of income: Corley says that 65 percent of the wealthy people had at least three gigs at once. 2. THEY GET TO THE GYM. You let your gym membership lag because you simply don’t have time for it. After all, isn’t an extra hour at the office going to do more for your bank account than that hour at the gym? Turns out, it isn’t. According to a recent study reported by Psychology Today, physically active men made 14 to 17 percent more money than less active men. 3. THEY DON'T SPEND THEIR MONEY. Have you ever gotten a tax refund and then immediately spent the day shopping for lavish outfits followed by an expensive night out? Chances are, a rich person would have put his refund into his savings account, and then continued on about his day. That’s because they use very strict budgeting tactics to accumulate their wealth, Corley says: 25 percent or less of their monthly net income is spent on housing, 15 percent on food, 10 percent on entertainment (including bars, movies and restaurants), 5 percent on auto loans (they never lease), and 5 percent on vacations. 4. THEY VISUALIZE THEIR GOALS. 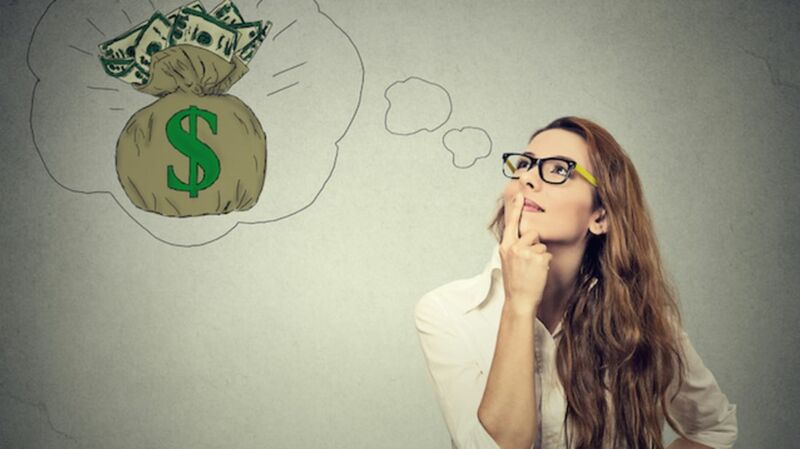 Wealthy people have a vision of where they want to be in life, and they write down this vision in the past tense, as if they’ve already achieved it, says John Ganotis, founder of Credit Card Insider, a consumer education company. Next, they make a habit of reading this visualization the first thing in the morning. “The idea is to embed this into your sub-conscious to help guide decisions throughout the day, and identify opportunities to move the vision closer to reality,” he says. For example, you may subconsciously think about this vision when you’re asked to go out for a few beers, and you may turn down those beers when you realize that you should really be going home to learn how to code your app to move closer toward your vision, Ganotis says. A survey by the U.S. Bureau of Labor Statistics found that the upper 20 percent of the wealthy spend about 16 percent of their income on pensions and insurance—and that’s more than six times as much as those in the lower 20 percent spend, Corley says. But you’re barely scraping by, so you shouldn’t be investing and paying for insurance at the moment, right? Wrong, says Eric Neumann, wealth management advisor with Northwestern Mutual. “Insurance and pensions are needed for everybody, no matter the income,” he says. He says that even those in the bottom 20 percent of the income bracket should be putting aside 15 percent of their income toward pension and insurance, and his general rule of thumb is to save 20 percent of your paycheck. Twenty-seven percent of the rich people in Corley’s study failed in business at least once in life. “Then, they got back up on their horse and tried again. And that persistence, that never quit attitude, enabled them to learn from their mistakes and failure, and ultimately succeed in life,” he says.